When reading a series, do you re-read the previous book/s before reading a newly released one? That depends. I might, on occasion, but only if it was one or two I loved. However, time is often a factor. I usually have plenty in my TBR and little opportunity for rereads. If I fear forgetting what had happened, I'd more likely look up a summary online, to jog my memory. For example, if George R. R. Martin ever lifts a finger to complete A Song of Fire and Ice, there's no way I could reread all those, so I would have to make do as best I could. At three in the morning when I can't sleep, the room ticks over in the dark and all I have for company is the rush of words coming up fast like those race horses you see on television, poor things, and when their hearts give out they are laid on the ground and shot dead behind a blue sheet. Her goodbye sounds like someone calling from a train as it leaves. Biz knows how to float. She has her people, her posse, her mom and the twins. She has Grace. And she has her dad, who tells her about the little kid she was, who loves her so hard, and who shouldn't be here but is. So Biz doesn't tell anyone anything. Not about her dark, runaway thoughts, not about kissing Grace or noticing Jasper, the new boy. And she doesn't tell anyone about her dad. Because her dad died when she was six. And Biz knows how to float, right there on the surface--normal okay regular fine. But after what happens on the beach--first in the ocean, and then in the sand--the tethers that hold Biz steady come undone. Dad disappears, and with him, all comfort. It might be easier, better, sweeter to float all the way away? Or maybe stay a little longer, find her father, bring him back to her. Or maybe--maybe maybe maybe--there's a third way Biz just can't see yet. It's a hard choice, and time is such a major factor. If I've forgotten too much about a story, then I'll reread specific scenes from previous books in the series. 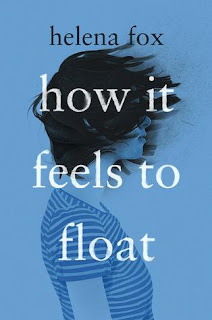 Also, How It Feels To Float looks interesting. Yes, that sounds like a good approach. Loved this! Her goodbye sounds like someone calling from a train as it leaves. Very nice, Nicki! Thanks for the visit, Laurel. Yes, it was a gripping read. What an incredibly sad start... powerful though. Happy weekend! Thanks Freda. See you again next week. Sounds like an interesting book. 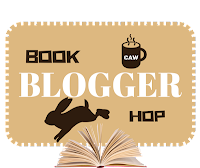 This week I am featuring The Curse of the Silver Pharaoh by Pip Ballantine and Tee Morris. Happy reading! Thanks Kathy. Happy Reading to you too. This sounds poignant and filled with sadness. Beautifully written, though. I have benefited from re-reading books at times. Neil Gaiman said reading a book is like stepping into a river. You never have exactly the same experience. Yes, that's a very true comment. Often you take something different away from a second read, especially if it's been a long gap between readings and you are at a different stage in your life. Thanks Ashley. Yes, it was a good read. Wow, I really like the imagery in that excerpt. Hope you are enjoying your weekend! Thanks Alicia. Hope you had a good weekend. Love that cover. Thanks for sharing! Lol, GRRM is never going to finish that book. I don't think he knows how and then was overtaken by events (aka the popularity of the TV show!). Yes, it's beginning to feel that way unfortunately.